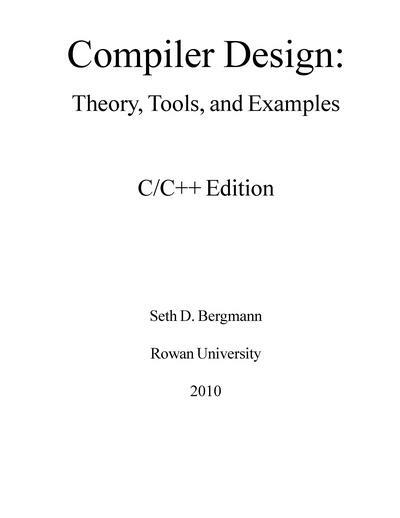 The design and construction of a computer program (or set of programs) that translates text written in a computer language (the source language) into another computer language (the target language). Explains how to construct a compiler using lex and yacc, the tools used to generate lexical analyzers and parsers. Conveys the general picture of compiler design without going into extreme detail. Gives the students an understanding of how compilers work and the ability to make simple (but not simplistic) compilers for simple languages. The online manual of Bison, a general-purpose parser generator that converts a grammar description for an LALR context-free grammar into a C program to parse that grammar. This book is presented as a programming tutorial, to develop and construct a Console Mode Scripting Engine and Byte Code Compiler for Bxbasic dialect, a subset of the GW-Basic and QBasic programming languages. 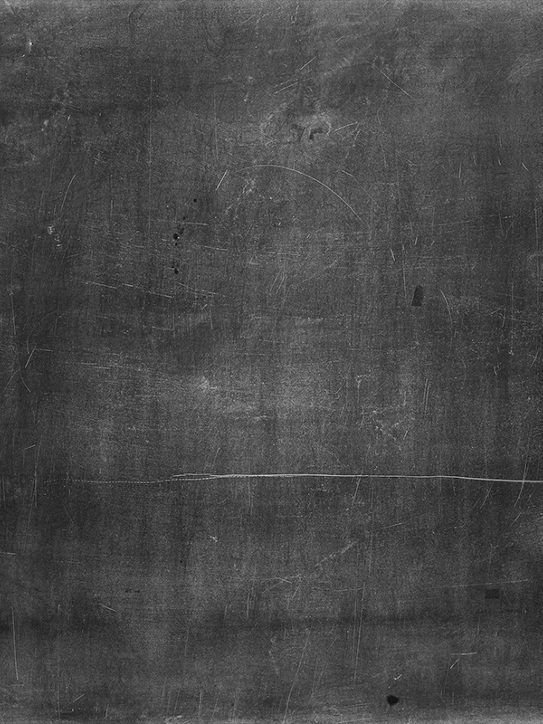 Complete source code is also available. 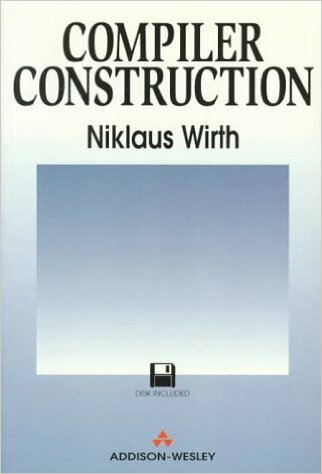 A concise, practical guide to modern compiler design and construction by the author of Pascal and Oberon. 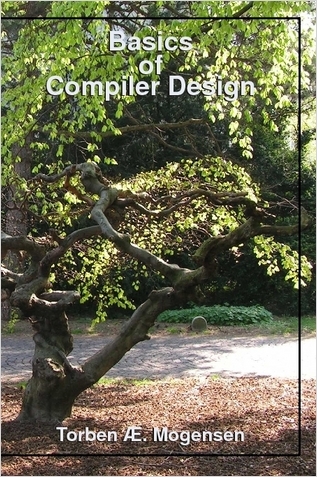 Readers are taken step-by-step through each stage of compiler design, using the simple yet powerful method of recursive descent to create a compiler. 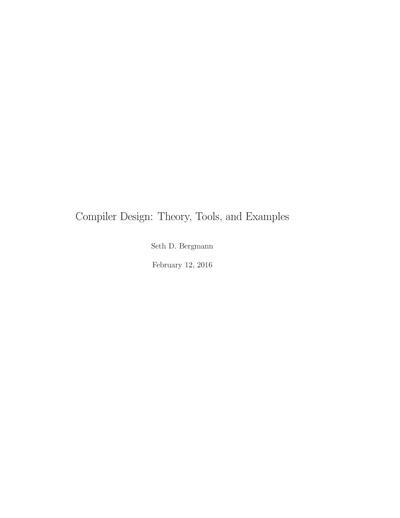 This text demonstrates how a compiler is built and describes the necessary tools and how to create and use them. A guide to compiler construction using compiler's compiler tools like Flex and Bison. Using both tools, you can focus on the concept of compiler without the hassle of building a compiler from scratch. 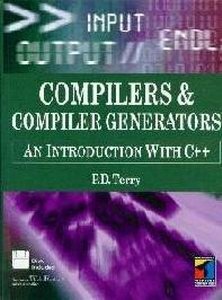 This textbook is a revision of an earlier edition that was written for a Pascal and C++ based curricula. It is not intended to be strictly an object- oriented approach to compiler design. This textbook is a revision of an earlier edition that was written for a Pascal based curriculum. It is not intended to be strictly an object-oriented approach to compiler design. Combines theory, practical applications and the use of compiler writing tools to give students a solid introduction to the subject of programming language translation. The online manual for Flex, a fast lexical analyser generator, generating programs that perform pattern-matching on text. 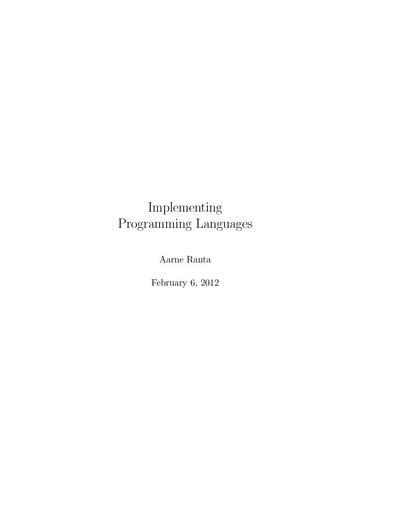 This book aims to make programming language implementation as easy as possible. It will guide you through all the phases of the design and implementation of a compiler or an interpreter. A fifteen-part tutorial series, written from 1988 to 1995, on the theory and practice of developing language parsers and compilers from scratch.